The initiative took place on the Meteor Bulgaria community, which is actively supported by IO Era. We gathered about 40 people interested in a way to perform software development in more effective and developer-friendly way. We all had a lot of fun and became a bit more proficient in Meteor. Check below how did the event go. The event started with a short introduction presentation by Jordan Jambazov. During his 15 minutes presentation Jordan briefly explained about the reactive power of the Meteor platform and compared it to other software development frameworks, like Django and Rails, and explained why there is no much room for comparison. Dimitar Manev as an experienced software architect continued with more detailed presentation about Meteor Architecture. He explained why Meteor is a platform, what client/cloud means, what are the major Meteor components and how to structure your Meteor application. The presentation lead to a very productive and interesting discussion about reactiveness, normalization vs. denormalization, and many other topics. In order to demonstrate the power of Meteor, and introduce the audience to the platform in practice, we developed a sample Meteor application, based on the official tutorials. At that point people started to realize what all those fancy and cool words mean (like reactiveness, hot code push, full stack, etc.). The development of the application happened in a close interaction with the audience, and we managed to discuss a lot of technical details. All the presentation slides are now uploaded on GitHub pages. 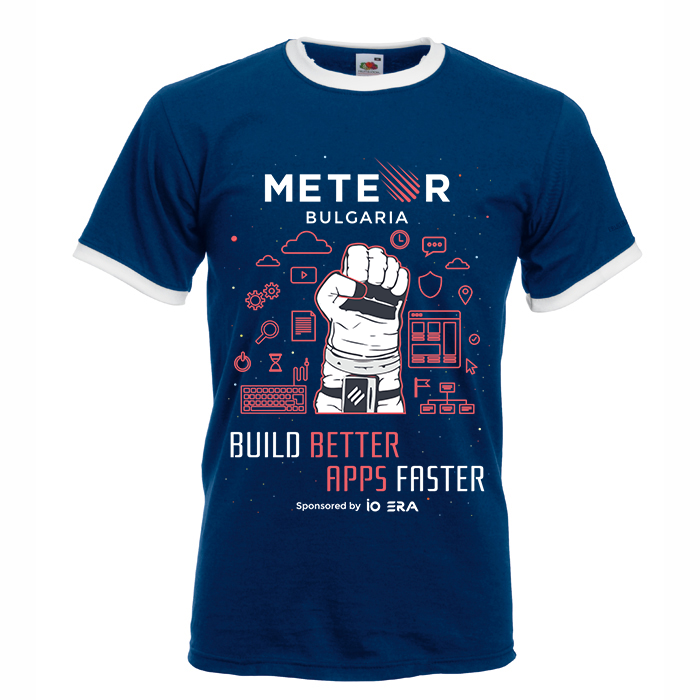 All the participants of the workshop received a special Meteor Bulgaria T-Shirt (designed by IO Era), and proceeded with the implementation of their projects. Well, not all of them. :) Some preferred to socialize and discuss their Meteor projects with other members of the community, while drinking beer, which was great.